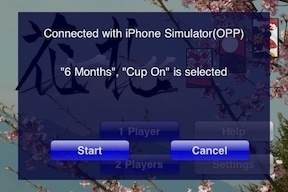 iPhone / iPodTouch / iPad devices with your friend or family. 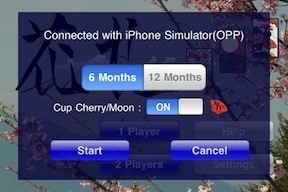 so you can play at home, on the move and travel destination the internet isn't available and so on. 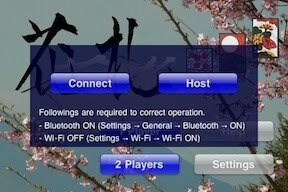 When you play "2 Players" mode, setting "ON Bluetooth" and "OFF Wi-Fi" are recommended. (You can also communicate via Wi-Fi especially in case your device don't have Bluetooth. When one player select "Connect", another player select "Host". 1.) You touch "2 Players". 2.) After you touch "Connect", you wait until connection establish. 3.) You have connected to your friend. 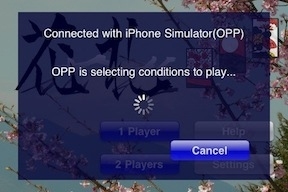 Now your friend select conditions to match, you wait that. 4.) 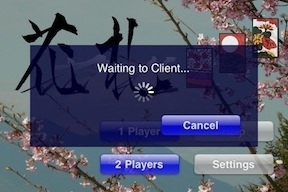 Your friend have selected conditions, so you touch "Start" to start game. 2.) After you touch "Host", you wait until your friend connect to you. 3.) Connection have established. After you select conditions to match, you touch "Start" to start game.